MASTER’s products has the highest standard in manufacturing and with rigid quality control. Designed for use on both Wedge and Classical V Belt. ISO 4183-1980 DIN 2211. 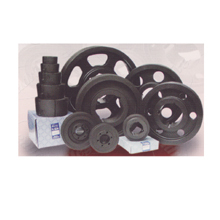 GG20-25 Cast Iron and steel materials are used. All cast iron products are with phosphate finishing.